Life was getting better for Liz Burg. Her entire outlook on life changed now that she had Christ to pursue. He became her passion and would remain her guiding influence for the rest of her life. She dedicated her life to others. I’m telling you, even in hospice, she was telling her pastor how she still had 2 people she was making plans to meet with to specifically share with them the Gospel. She would tell him, “God still has me here today, so He must want to use me for a specific reason.” She knew her life was not about being comfortable or happy. She knew, even in her very last days, her life was to be a shining light for Christ, even if that meant suffering. If you attended her funeral, you would hear over and over again how true this was. 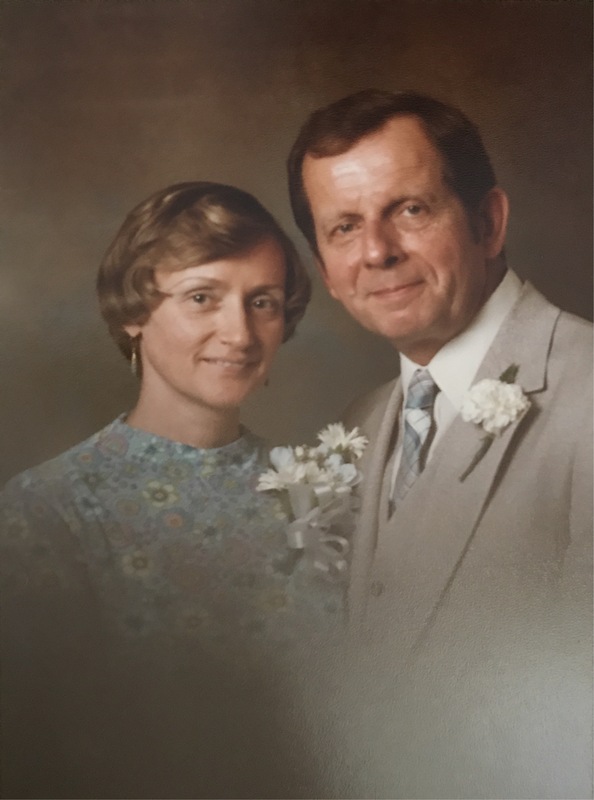 Several months after Grandma began attending Brentwood Baptist, she had a conversation with a church leader about meeting a Christian man who was looking for a wife. It “just so happened” that there was a man at the church who was actively looking to marry. The catch? He had children. Six children. I don’t think I can tell their story better than my Grandma, so I’m going to let her tell you about how she met the love of her life. Seriously, the woman knew what she wanted and she went for it. I admire so much her ability to sincerely thank God for her years of trials. My Grandma and Grandpa Burg truly loved each other. She had always rejected the idea that God could love her so much because she had never experienced a man’s love. Grandma says that through the steady, unconditional love of Richard, she learned more about how God loved her. I don’t know if I can think of a better thing to be said about you as a husband. Grandma was baptized and jumped right in serving at Brentwood. She taught Sunday School and led a women’s Bible Study. 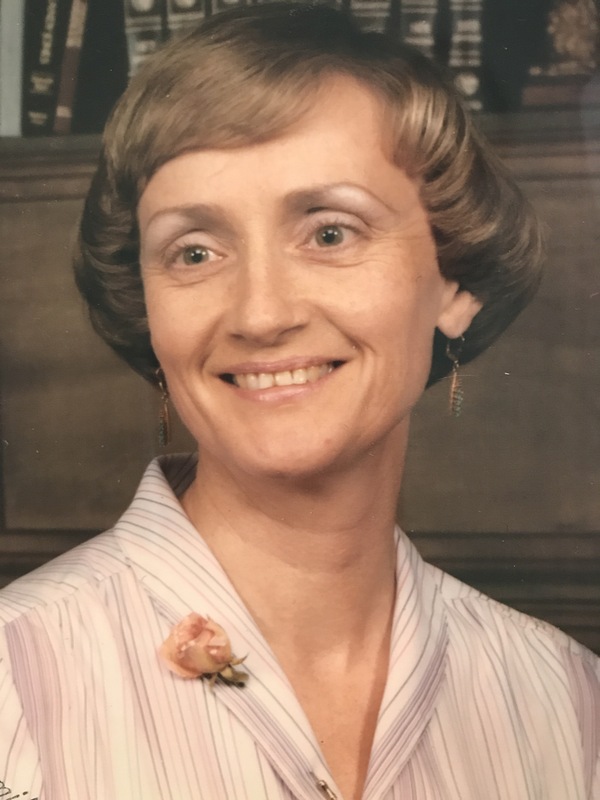 She took careful and intentional care of her husband and 9 children (Dad said, “The Brady Bunch had nothing on us”). As a believer, Grandma still experienced trials. She just had the ability to see them differently now that she had something guiding her faith. In 1978, she had a serious accident which resulted in the amputation of her index finger. Even after nine surgeries, she was left with permanent nerve damage that left her in pain every day until she passed. You’ve heard a lot up until this point about Liz Burg’s dedication to hard work. At this stage in her life, she could have easily decided that she wanted to focus all of her attention on being a wife and mother (and please know that there would have been NOTHING wrong with that). But, Grandma knew that she was given an opportunity in America for a reason. With only an elementary education (in Germany), she received her GED at Harper College at 46 years old. In 1982, she earned her real estate license which she held all the way until her death. Grandma was a very successful real estate agent at Century 21. She won many awards over the years including a Quality Service award (2000) and a Top Selling Agent award (1998 and 2000). My dad was about to head to college when Grandma remarried. Richard’s oldest daughter, Chris Burg, was attending Bob Jones University. Dad knew nothing at all about this place, but decided that was where he was supposed to spend his college years. Dad says that Chris was a huge help to him as he adjusted to the (rather insanely) strict new culture he was thrown into. They say history repeats itself. When I headed to Bob Jones University, my cousin (Chris’s son) Derek Rogers, was an invaluable friend to me during that first delicate year of college. I think freshman year was probably one of my favorite years because of the true friendship I had with Derek. One of the most difficult things I ever watched my Grandma go through was losing her husband. In April of 2013, after 38 years of marriage, Richard Burg lost his battle with Parkinson’s and Dementia. I went with Grandma to visit him one day when I was in Chicago. He had no idea who I was or even who my Grandma was. But she said, “watch this!” and she gave him a kiss. His eyes lit up as if he knew exactly who was kissing him in that moment. Grandma said kissing him and singing to him were the 2 things that seemed to grab his attention even as life was fading from him. Her house was always immaculate. She had a piano that played by itself and I would sit and watch while it plucked music from “The Sound of Music” for hours. She would always have me prepare a piano piece to play for her when I came over. She took me to my first play ever, “The Wizard of Oz.” I will never forget that experience. I was very young, but still have memories of that play. I even wrote about it in a journal I kept as a child. If you know me, you know how significant this event must have been in my life. As you can imagine, having 9 kids meant having a LOT of grandkids and eventually a LOT of great-grandkids. One thing that set my Grandma apart was her individual care for each family member. 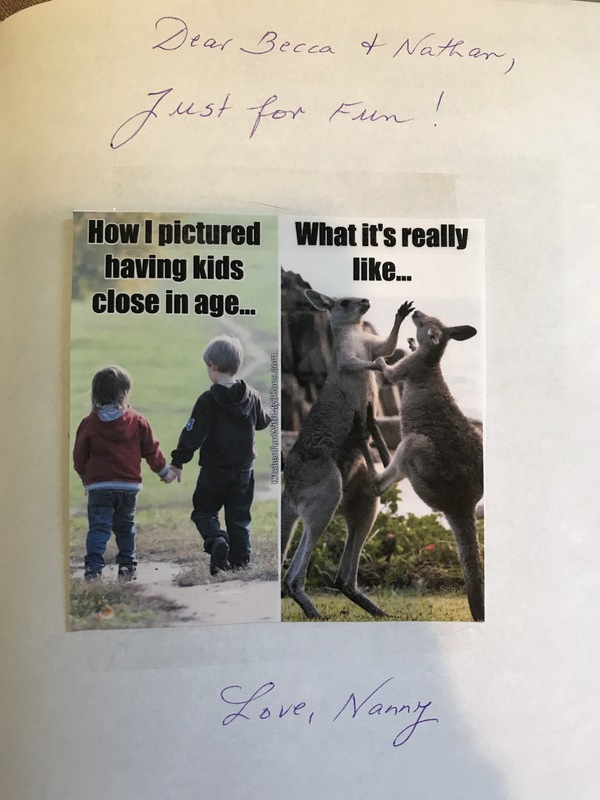 No matter the path any of her kids or grandkids chose, we all knew that she would love us. She loved us in spite of our mistakes and our failings. She loved us unconditionally. Now, this did NOT mean she agreed with us on everything. Nope. And that strength of hers was always bordering on the line of stubbornness. But, you know what…. I can say with certainty, there was NOTHING any of us could do that would make her stop loving us. 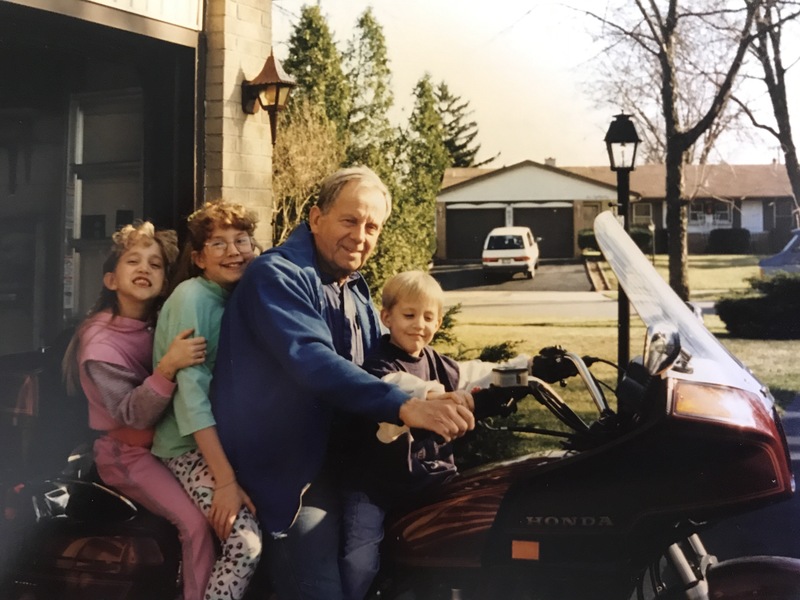 Sitting on grandpa’s motorcycle. Oh the bangs…. When I say that her care for us was individual, I also mean that in the truest sense of the word. 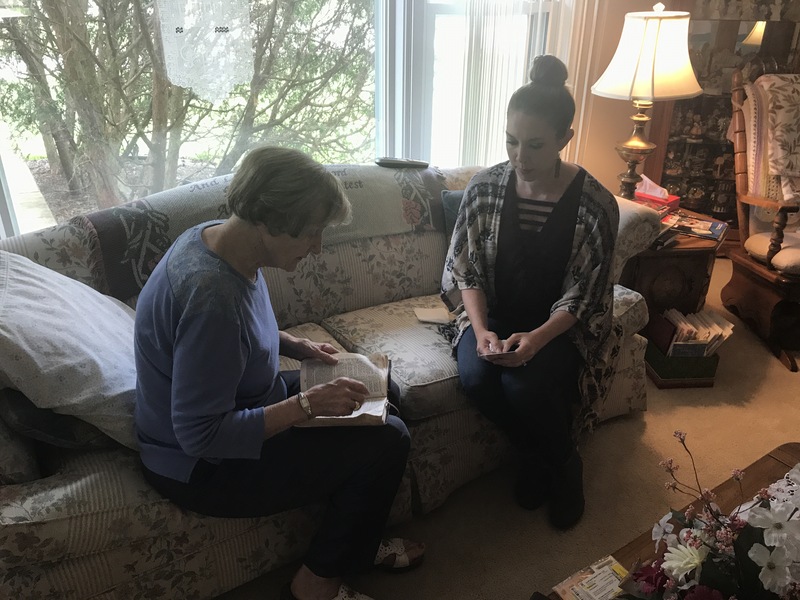 Every year since 1999 she would prepare a personalized Bible or devotional book for a family member. I received mine in 2002. In May of 2017, I flew home for one day in order to see my Grandma, knowing she only had weeks left. One of the memories I will cherish forever was sitting next to her in the hospital bed while she handed me 2 books. One book was personalized to my 3 year old son, Logan. The other was personalized to my 1 year old daughter, Lilia. She told me that she made these books in 2016 (her last full year on the earth) and that she never does 2 for great-grandkids in one year. I can still hear her saying, “Never.” But she said she asked God to lay on her heart who was supposed to receive a book and that she couldn’t deny that He wanted her to make one for both Logan and Lilia. She said Lilia’s book was hard to let go of because she would look through it daily (it is full of pictures). She made these books before she was even diagnosed with cancer. I was in awe as I sat and watched her smile and laugh as she flipped page by page through Lilia’s book. In awe of her love for Lilia and in awe of a God who kindly laid my babies on her heart when we didn’t even know these would be her last complete journals. My daughter carries the name of her great-grandmother. Lilia Elisabeth Kaser. She also carries her genetics. 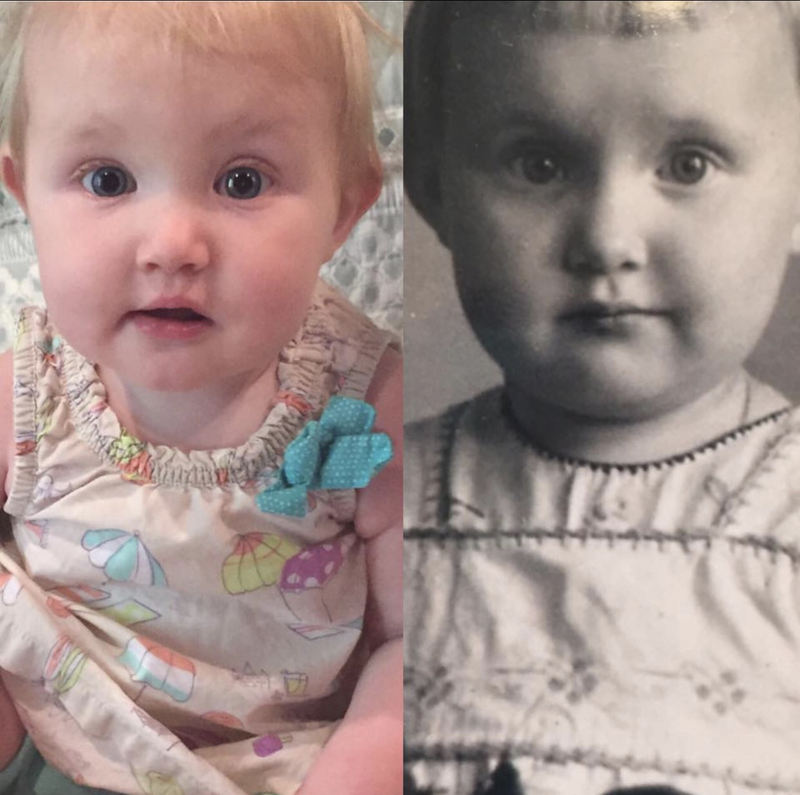 I will never get over this side-by-side of Lilia and my Grandma. There are 70 years between these photos, yet this picture reminds me that a piece of all of us live on in our children and in our children’s children. A piece of Liz Burg’s strength, passion, dedication and yes, even stubbornness live in us. I am honored to try my best to let her legacy shine through my own life. 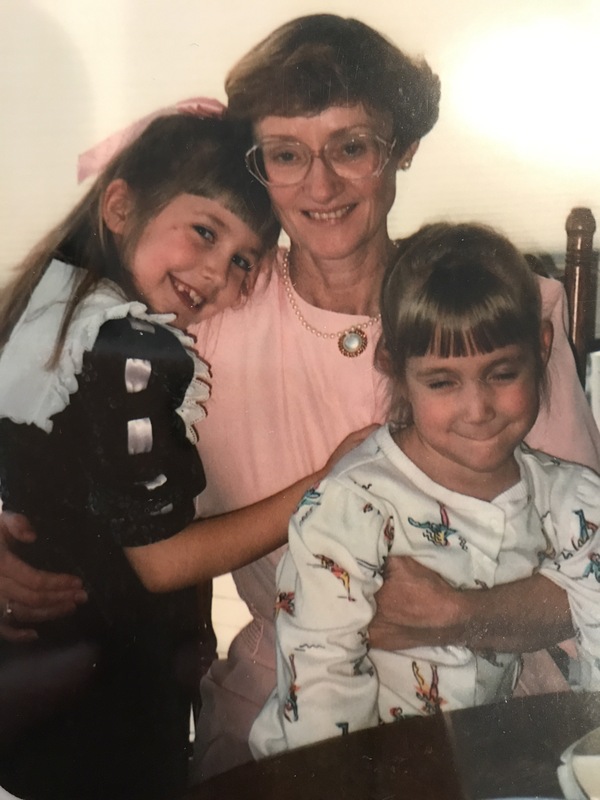 I cannot write this without acknowledging that my Grandma was an incredible encouragement to me when it came to motherhood. Becoming a mother has been THE hardest thing I have ever done in 1000 different ways. She never said to me, “Oh but you will miss these days.” She just encouraged me constantly, even with a little comment on Facebook. . .
She would never know what those words have meant to me. I will miss hearing them from her. Something about her saying them. . . I just believed she meant it. In Grandma’s very last days, she spent some special time with my Dad. He was able to read Revelation 5 to her and pray with her. He shared with her that soon she would be in the arms of the One who has guided every step she took. Grandma did not fear dying, but she did fear the pain of death. She and Dad reveled in the thought that soon, she would never fear pain again. Oh the joy to have such confidence and to share it with her son weeks and days before death took her. What a gift. And that’s exactly what she is doing. Praising God continually for eternity. This story had been a blessing to read. Mrs. Burg was my Sunday School teacher at Brentwood when I was a little girl. I can still picture her hand with the missing finger. I am eternally grateful for the investment people like your grandmother made in my life. You have given her much honor in these posts. Thank you for sharing it publicly. Thank you Becca for all these beautiful words. What a great testimony. Is Ella Rogers mother Stephanie Gorney Rogers? We have known the Gorney’s for years. Liz Burg was an amazing woman and will be dearly missed.